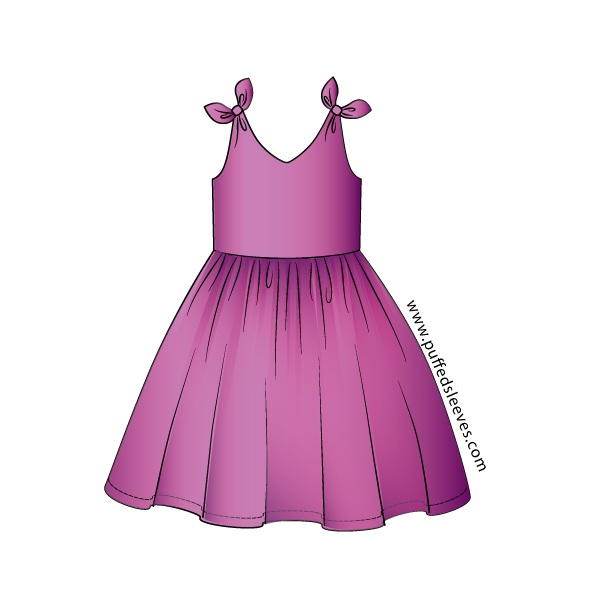 Home / Sewing Patterns / Dress Patterns / Tie-up shoulders sundress sewing instructions. This dress has a little bit unusual assembly method. Not too fiddly, just different. 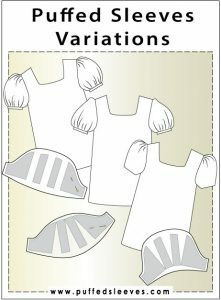 The lining of the bodice has double duty of lining and facing at the same time. 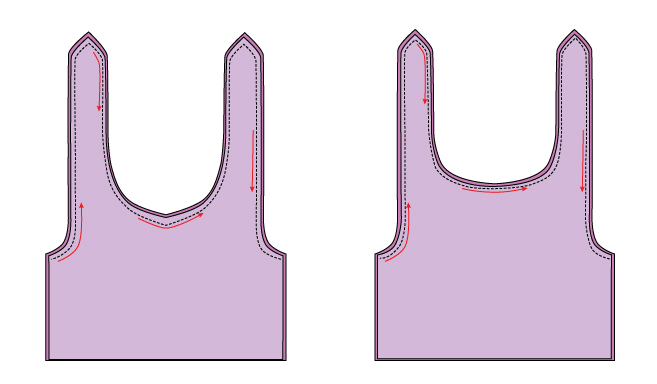 Place the front bodice piece with corresponding lining piece right sides in. Keeping both parts flat, baste them together. 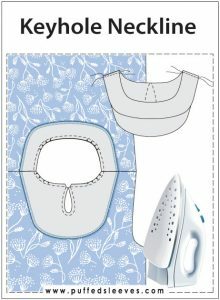 Stitch as illustrated, take care not to pucker or stretch the edges. 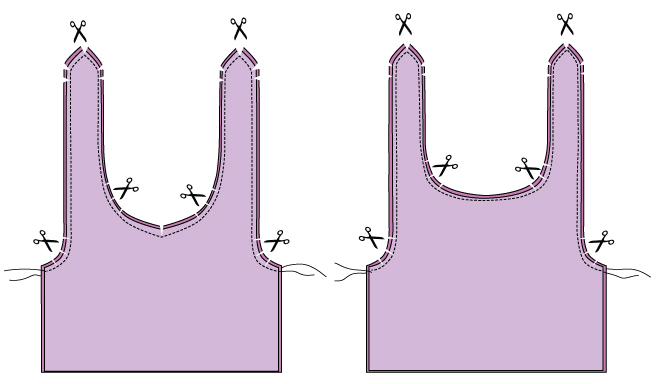 Repeat this step with the back bodice part. 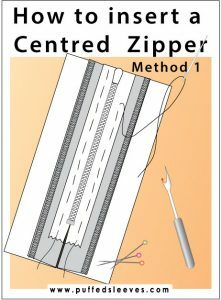 Basting might seem like an extra and unnecessary step, but if you don’t do this kind of sewing often it is rather easy to mess up. Press lightly. Remember, – iron is a seamstress best friend. 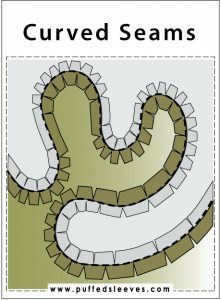 Notch the seam allowance at the concave curves, and snip away tiny triangles at a convex ones. Don’t go more then 3/4 of the way. 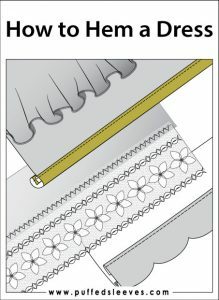 If you think that fabric won’t lay flat when turned right side out, make more notches then suggested, but don’t go deeper. 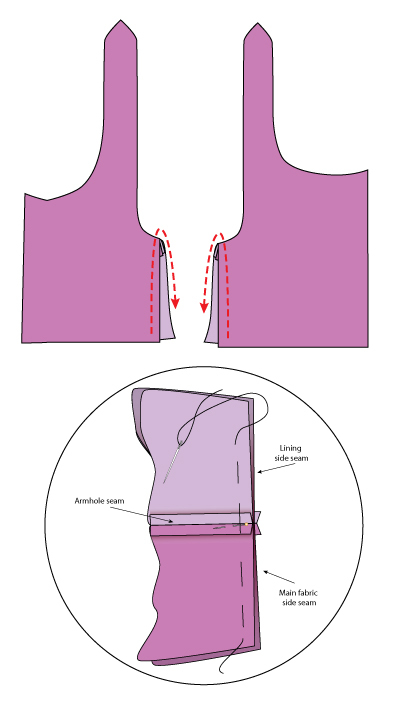 More notes on a curved seams. With the right sides in, baste the side seams of main fabric, continuing into the lining. 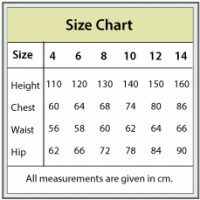 Make sure to match the armhole seams. 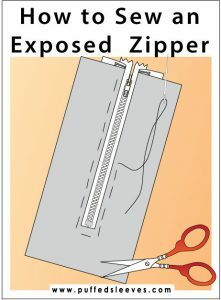 You might want to pin it in place to avoid shifting layers. Do the same on the other side. Remove the pins and do the visual check, stitch when satisfied. Get rid of the basting and press well. The top is ready! 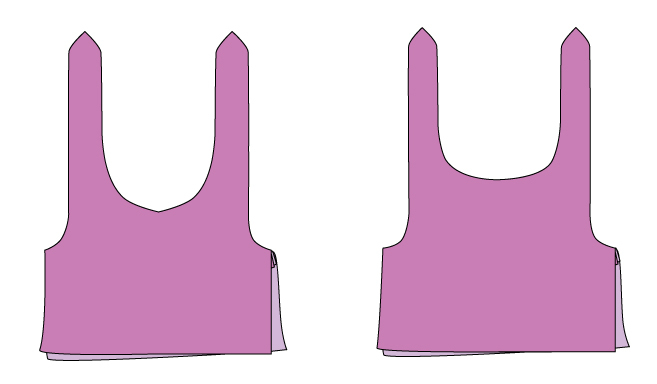 Simple but effective – the whole bodice lined and faced. 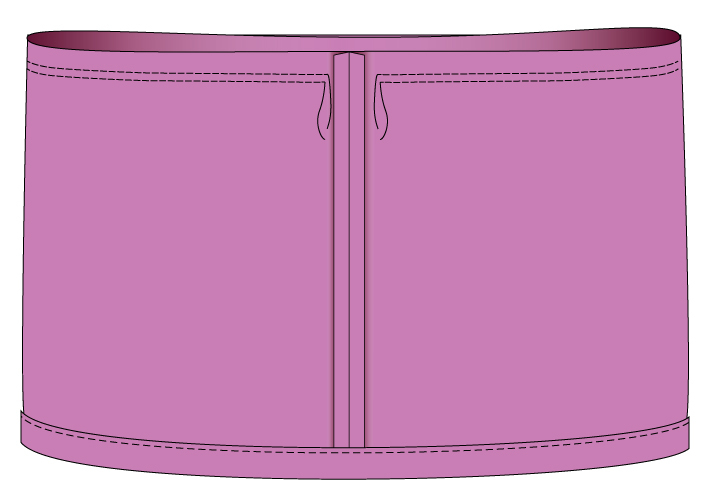 Preparing the skirt.- Sew the back seam- Hem the bottom edge. 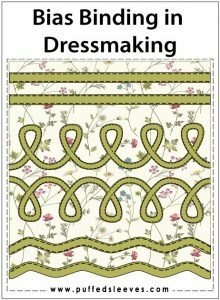 10 ways to hem a dress.– Run two parallel stitches along the waist for gathering.- Pull the threads and gather the fabric. Spread the folds evenly. 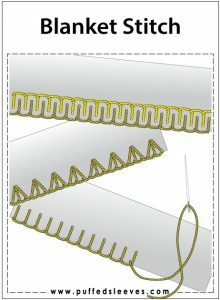 Double basting method of making ruffles. 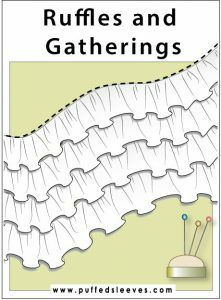 Now you can baste the gathered skirt to the bodice, make any necessary adjustments. 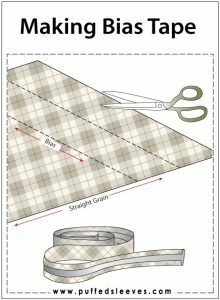 Stitch and overlock the waist seam. Tie-up shoulders, make pretty bows. Done!